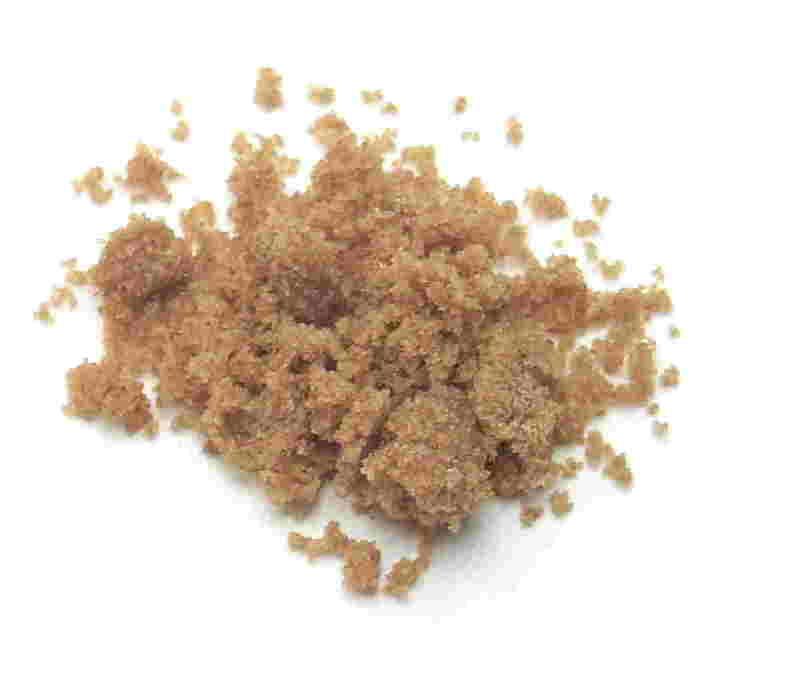 cinnamon sugar To make your own: Mix together 7 parts granulated sugar and 1 part cinnamon. doughnut sugar = snow sugar = non-melting sugar Notes: This is similar to powdered sugar, only it doesn't melt as easily. 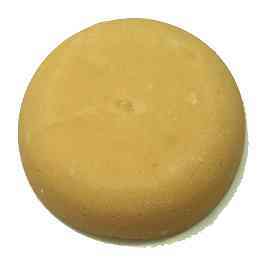 Commercial bakers use this on doughnuts and other pastries. 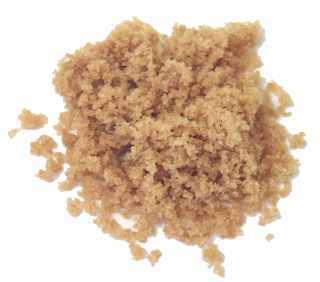 golden brown sugar See light brown sugar. 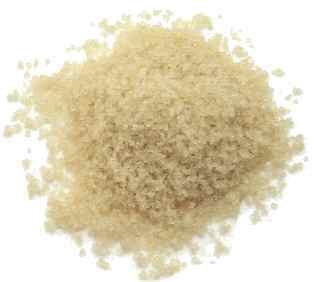 Varieties: Regular sugar = fine granulated sugar = table sugar = standard granulated sugar = extra-fine granulated sugar is the standard table sugar we're all familiar with. 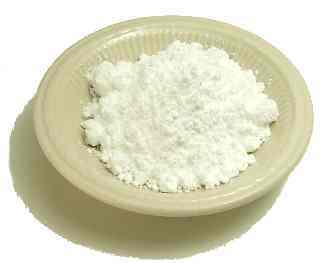 Superfine sugar = ultrafine sugar = bar sugar = instant dissolving sugar = berry sugar = castor sugar = caster sugar dissolves more quickly, and is recommended for sweetening beverages, and for making meringues, cakes, soufflés, and mousses. 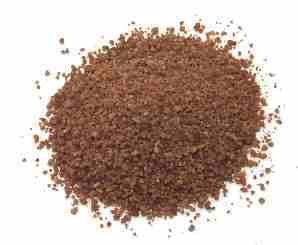 To make your own, grind standard granulated sugar in a food processor or blender for about a minute. 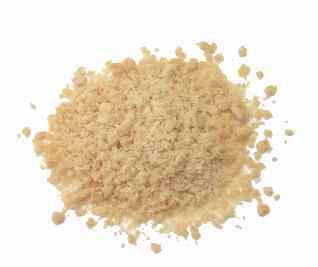 Baker's special has a grain size between standard granulated and superfine. 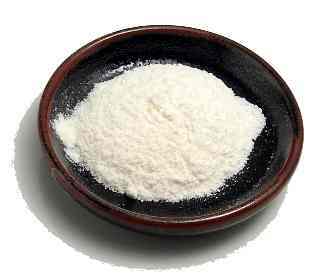 Bakers use it in cakes because the fine granules improve the texture. 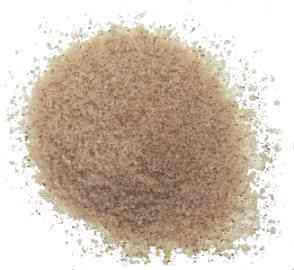 Sanding sugar has larger granules that sparkle when spinkled on baked goods and candies. 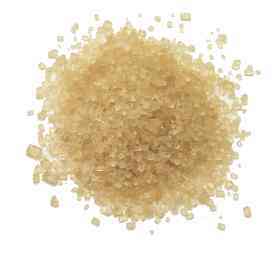 Coarse sugar has a larger grain size than regular granulated sugar. It tends not to change color or break down at high temperatures. 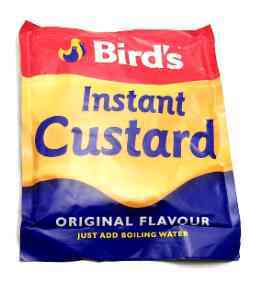 It's similar to (and often mistaken for) sanding sugar. 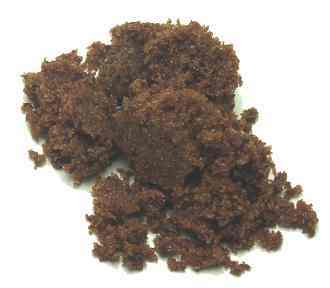 colored sugar Beet sugar is derived from sugar beets, while cane sugar is derived from sugar cane. Both beet and cane sugars are 99.95% sucrose, but many bakers claim that the remaining .05% of trace minerals and proteins makes a difference, and that cane sugar performs better. 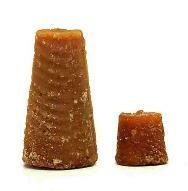 Some cane sugar is processed using a by-product of animal bones, so some vegetarians prefer beet sugar to cane. 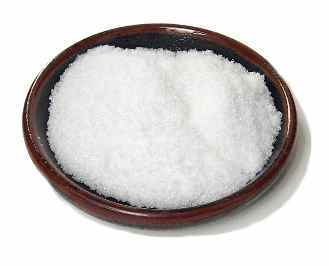 Some manufacturers don't specify whether their product is beet sugar or cane sugar. Links: For tips on how to reduce sugar in recipes, visit Preparing Healthy Food: How to Modify a Recipe. See also the Sweeteners for Vegans posting on RecipeSource.com, and the North Dakota State University Extension Service's Sweetener Substitutions page. For tips on cooking and baking with artificial sweeteners, visit Sweet'n Low's FAQ page. 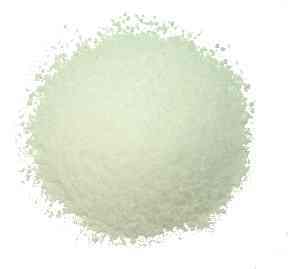 invert sugar Notes: This is used by commercial bakers to keep baked goods moist or by candy makers to make more finely grained candies. 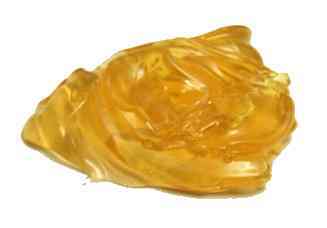 Look for it in candy making supply shops. 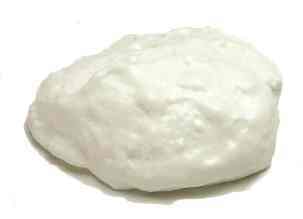 marshmallow creme = marshmallow fluff Shopping hints: Kraft is a well-known brand. 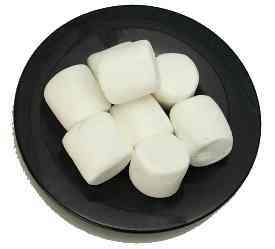 To make your own: Gently heat 16 ounces of marshmallows plus 1/4 cup corn syrup in a double boiler, stirring constantly. 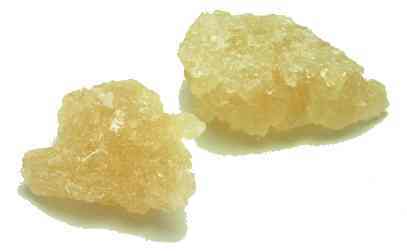 misri Notes: Look for bags of these sugar crystals in Indian markets. powdered sugar = confectioner's sugar = icing sugar Substitutes: Mix 1 cup granulated sugar + 1 tablespoon corn starch in blender until powdery, stirring often OR (to sweeten whipped cream) artificial sweeteners (add after cream is completely whipped) Links: See also Powdered Sugar Replacement page for diabetics, and the Powdered Sugar Replacement page on www.vegweb.com. 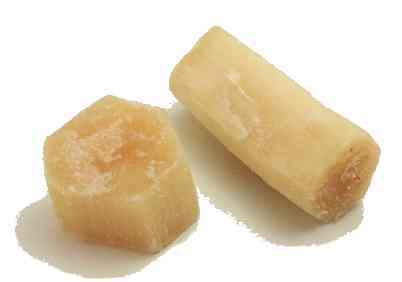 sugar cane Notes: These are fun to chew on. They're available in the produce section either peeled (left) or unpeeled. 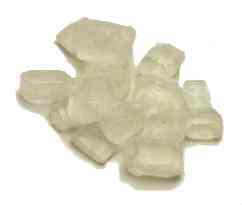 vanilla sugar To make your own: Put a vanilla bean in a pound of granulated sugar for a week. zucker hut = zuckerhut = sugar hat Notes: Look for this in German markets. 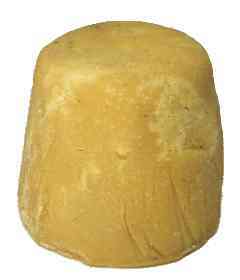 During the Christmas and New Year's holidays, Germans pour rum over the cones and ignite them to make feuerzangebowle, or fire tong punch. For information on using sweeteners in baked goods, visit the Functions of Baking Ingredients page, or the North Dakota State University's page on Sweetener Substitutions. See also the Table of Equivalents for Sugar Substitutes posted on SOAR.